Onwards to a new month in Hitch! ? Welcome back to our monthly newsletter where we bring you the latest updates. A couple of days back, we announced the launch of platform fee, a contribution that we require from our GrabHitch drivers for the sustainability and improvement of our service. It is currently set at a flat rate of 10% on the original fare amount and will take effect on all GrabHitch rides from 1 June 2018 onwards.For more information on platform fee, visit here. 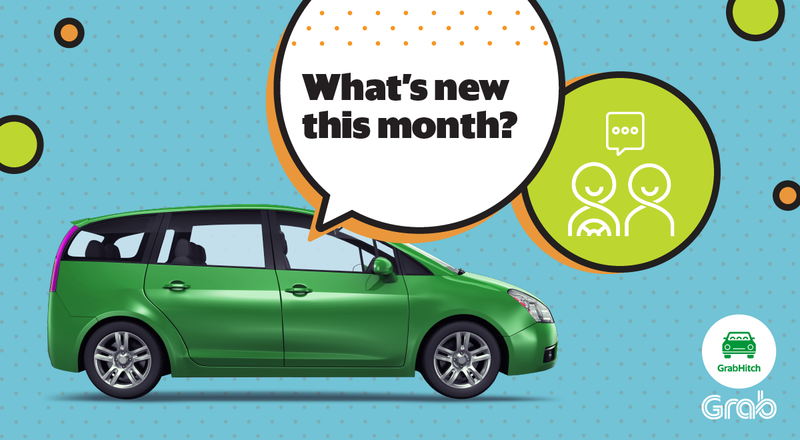 Enjoy meeting new people and recovering petrol costs? 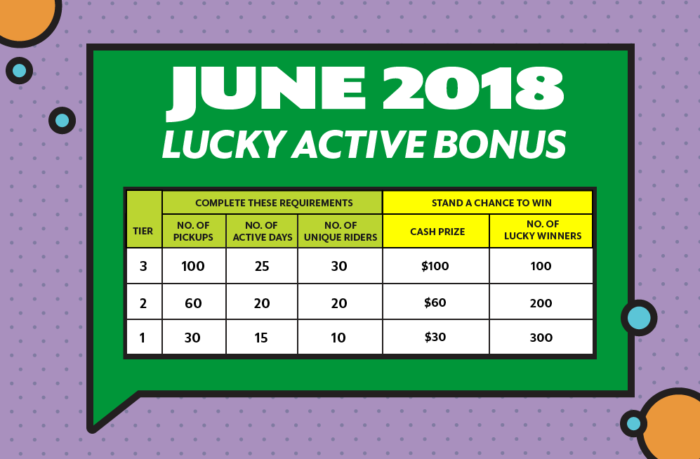 Don’t miss out on Lucky Active Bonus this June as an additional token of appreciation for our active drivers! Meet any tier’s requirements and stand a chance to win a cash prize! Participants have to complete all requirements in any tier to qualify for 1 entry in the respective tier’s draw. Winners of each tier’s draw will be picked randomly. Valid for completed pickups from 1 to 30 June 2018 within Singapore. An active day consists of at least 1 pickup completed within that day. Active days do not have to be consecutive. Results of the contest will be announced on this page by 4 July 2018. Prizes will be credited into the winner’s GrabHitch driver wallet within 2 working days after receiving notification of results. GrabHitch reserves the right to take necessary action against those suspected of fraudulent activities. Have friends around you who drive? Share with them the benefits of GrabHitch and get $30* for EVERY successful referral! Remind your friends to use YOUR PHONE NUMBER <65xxxxxxxx> as the referral code when signing up via the Grab app and complete minimum 1 ride by 30 June! *T&Cs apply. For more details, visit our DRD page.